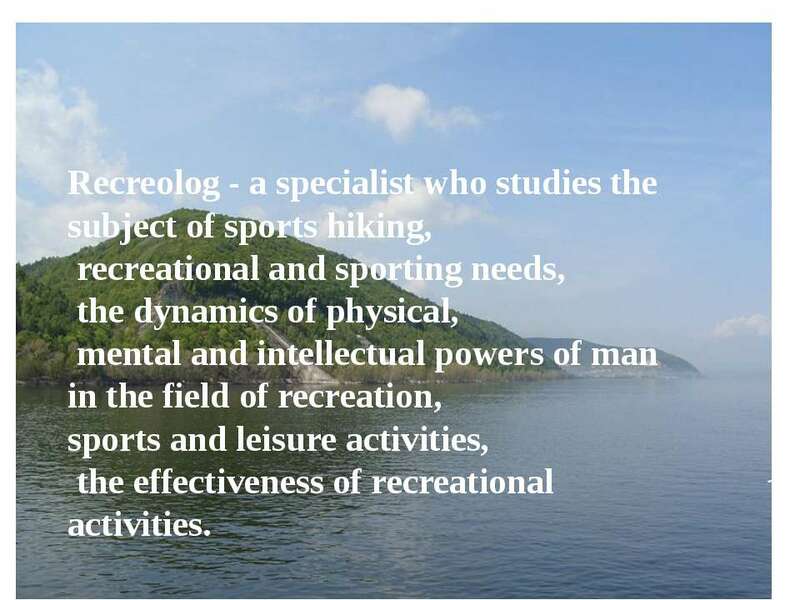 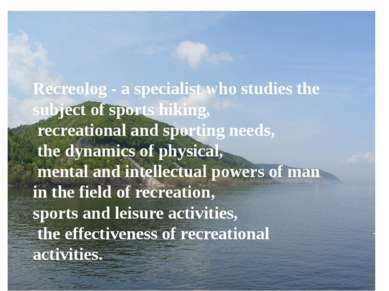 Recreolog - a specialist who studies the subject of sports hiking, recreational and sporting needs, the dynamics of physical, mental and intellectual powers of man in the field of recreation, sports and leisure activities, the effectiveness of recreational activities. 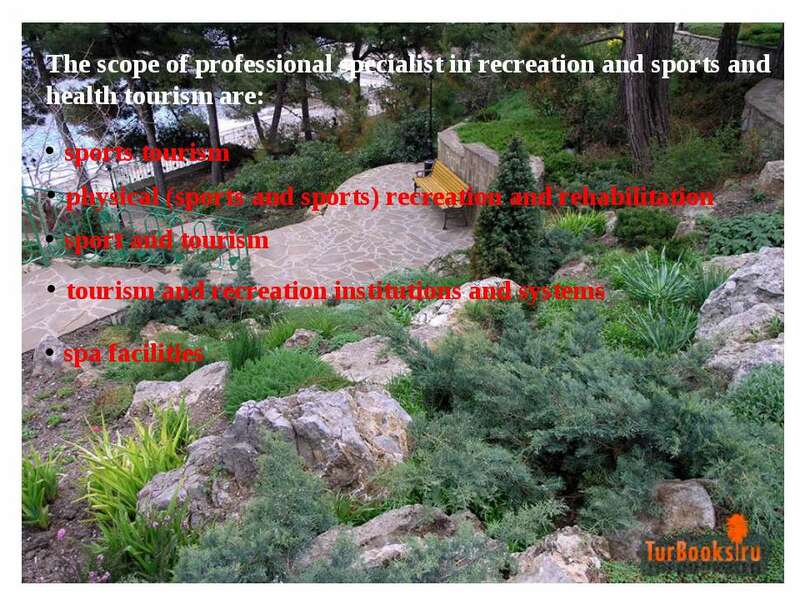 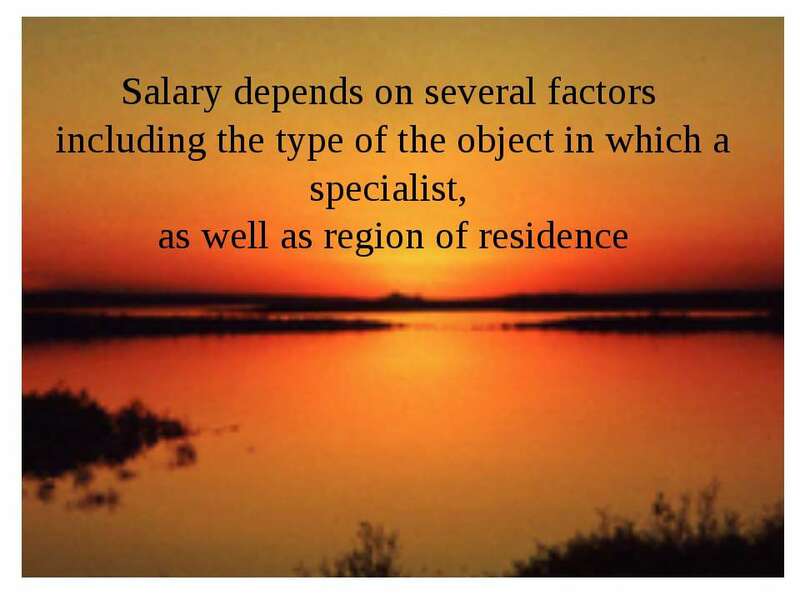 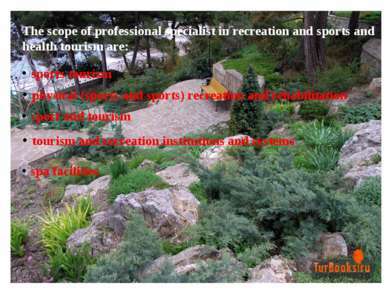 The duties of a recreation specialist vary depending on their employment setting. 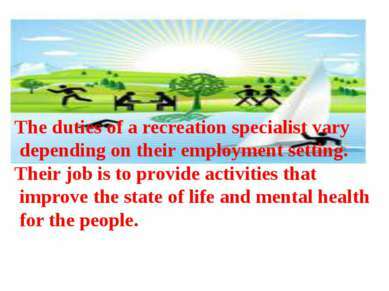 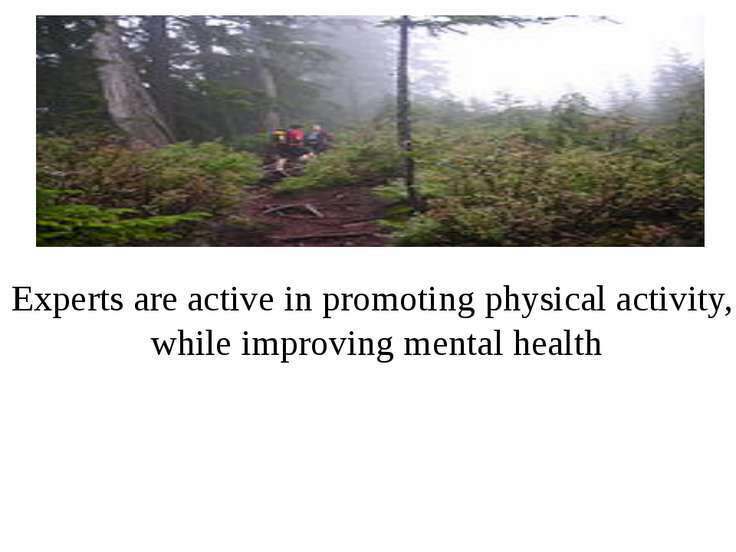 Their job is to provide activities that improve the state of life and mental health for the people. A recreation specialist would be expected to meet the recreational needs of a community or interest group. 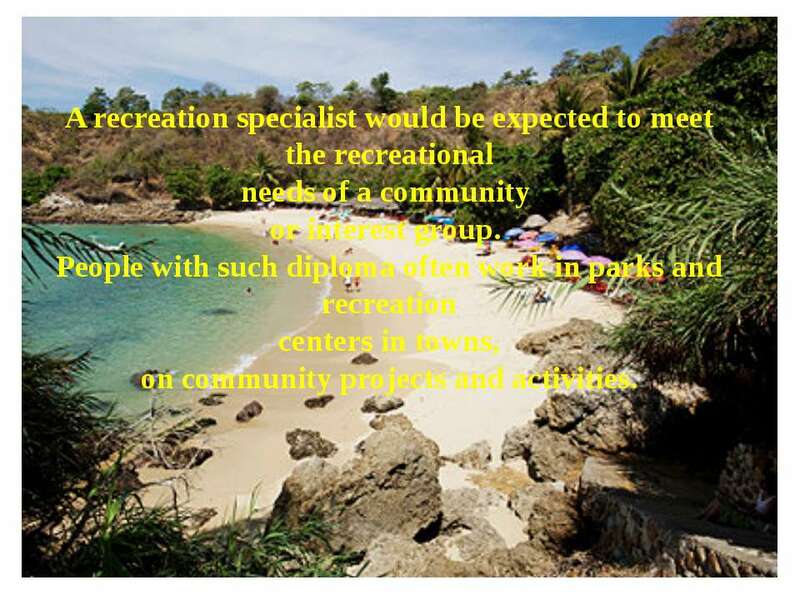 People with such diploma often work in parks and recreation centers in towns, on community projects and activities. 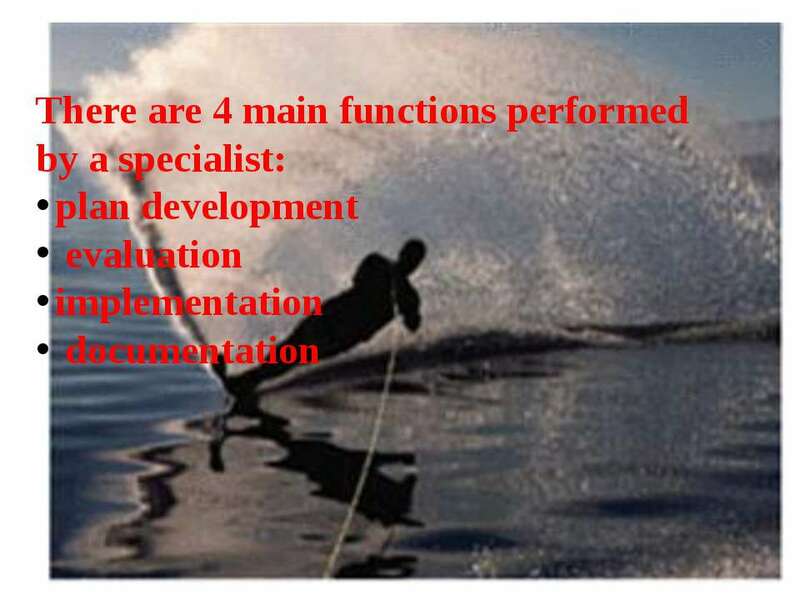 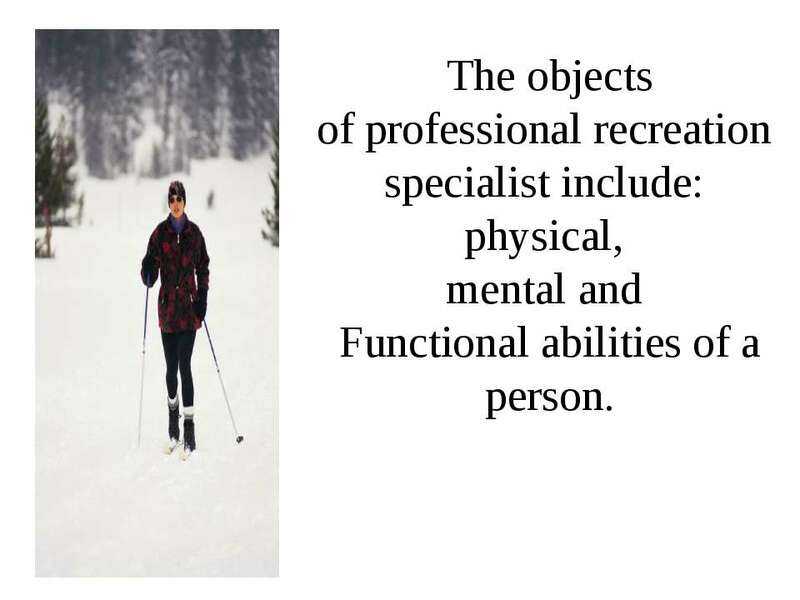 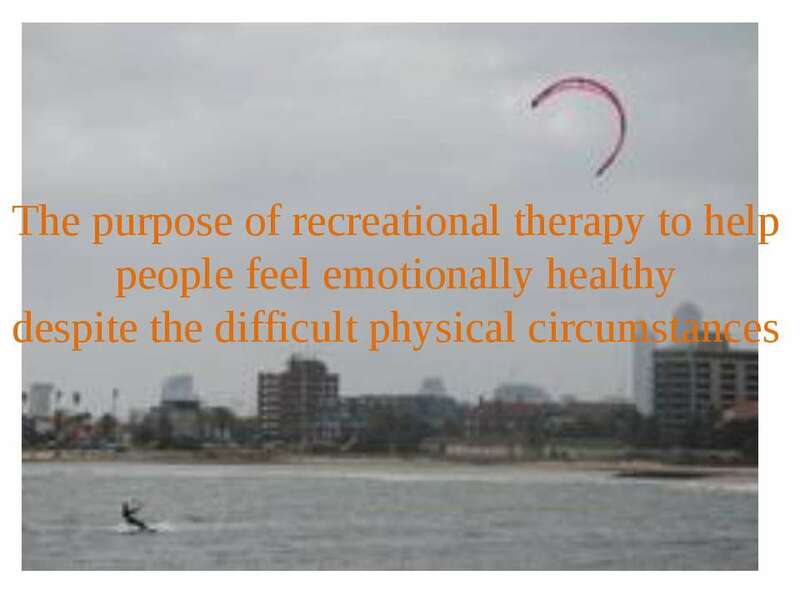 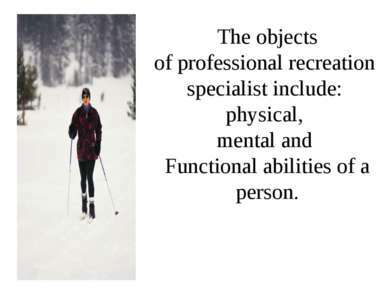 The objects of professional recreation specialist include: physical, mental and Functional abilities of a person.